The HTC One (M8) is now official with 90% of the phone being metal while it's predecessor had 70% giving it a sleeker look. 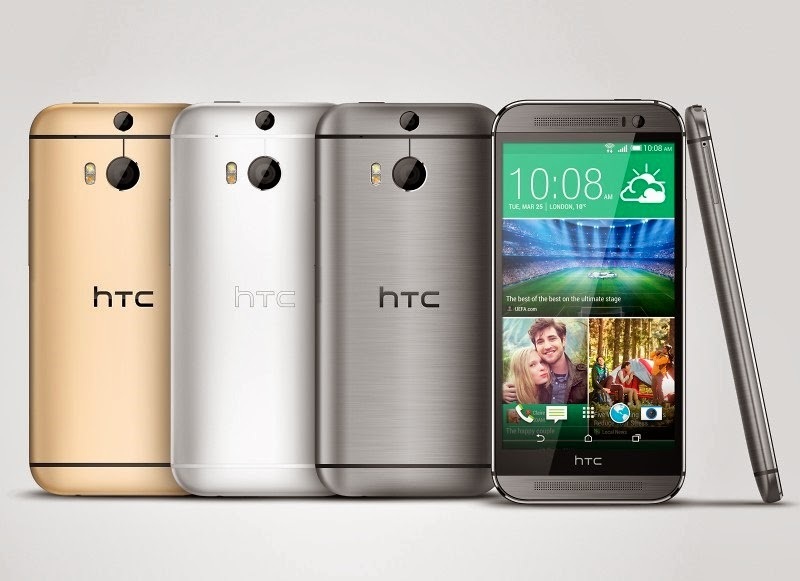 The HTC One (M8) screen has 1920x1080 pixels resolution in a 5" display from 4.7". 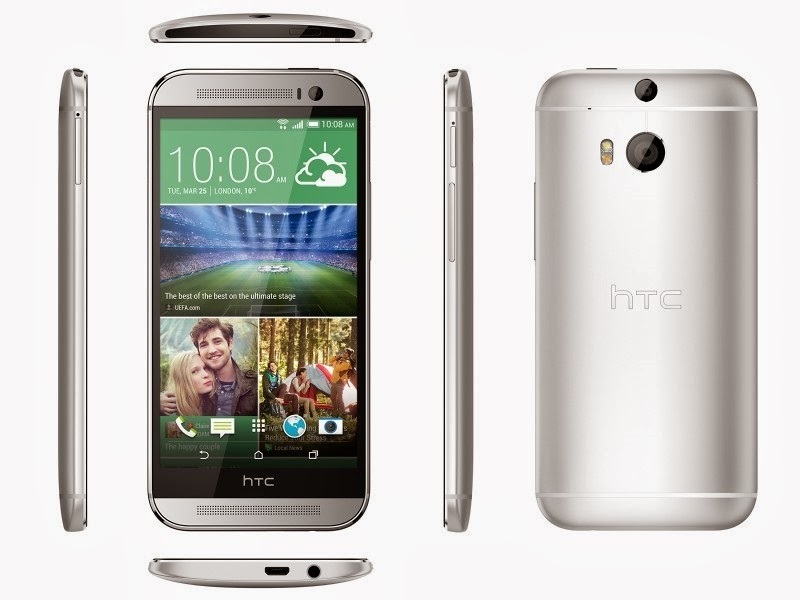 The new HTC One has slimmer bezels and it's hardware keys have been replaced by on-screen touch ones. The newest smartphone on the market offers a Snapdragon 801 chipset with a 2.3 GHz Krait 400 processor, Adreno 330 GPU and 2 GB of RAM. The storage options are 16 GB and 32 GB but the M8 will allow expansion by up to 128 GB through the microSD card slot. HTC kept the front-facing BoomSound stereo speakers in this version and it's said to be 25% louder as well. The smartphone comes with Android version 4.4 KitKat with HTC's Sense 6, it features a 4 ultra-pixel camera with 1/3" sensor, 2 micron-sized pixels and f/2.0 aperture plus a second camera located above which is meant to gather depth information and lastly the front-facing camera is a wide-angle 5 MP which is a noticable change from last year's model which had 2.1MP. If you want the new smartphone from HTC it will cost £530 sim-free online or any store in UK while on contract prices depend on the network so have a look at their websites for more pricing information.